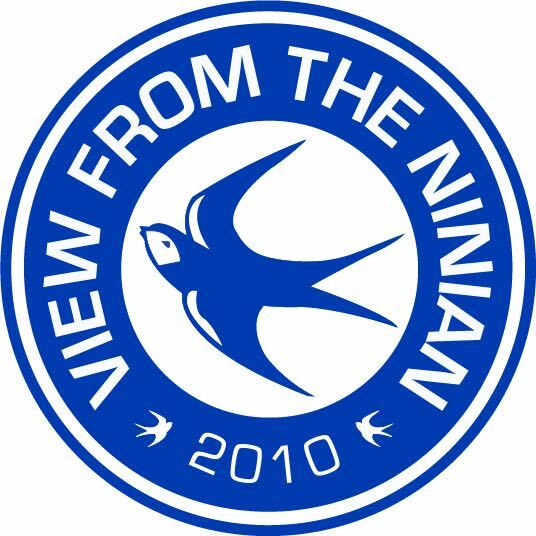 This is part one of our interview, in which Chopra answers questions about his time with the Bluebirds, Ninian Park and wrecking Terry Phillips’ hotel room in Portugal… enjoy! Why did you join the Bluebirds and what were your first impressions of Cardiff City? My agent at the time had very good connections with Peter Ridsdale and I knew him from when I went on loan to Barnsley from Newcastle. Pretty much that was the reason really. I went down there and met Peter with Dave Jones and Sam Hammam. I found out a lot about the club and I was really close to Stephen McPhail as well, after playing with him at Barnsley. I was asking him about the club too. Dave told me his plans going forward and I wanted to be a part of that. He was trying to do something with the club. My first impression of the club was that the fan base were brilliant. Really passionate fans and they reminded me of Newcastle fans. They were pretty similar in that they always come out, support their team and fill the ground. Especially at Ninian Park, where it was difficult for teams to come and win. I think one of the reasons was the way they got behind the team. Even speaking that players that came down to play us, they said they knew it was going to be a difficult game. It was an old ground, the fans were so close to the pitch and half the ground were standing, which meant there was a great atmosphere. VFTN – How was your relationship with Dave Jones? He seemed to work wonders with players that were considered ‘colourful characters.’ It seemed to be a case that Jones gave you plenty of rope, but did he give you too much rope? Looking back, yeah, he probably did give me too much rope, but that’s also why I did so well. If he didn’t give me so much rope, I might not have been so happy and liked what I was doing. It was just the way he man managed me and that’s how he got the best out of me. It was the same with Jay Bothroyd, who came to the club for next to nothing and look at the player he turned out to be. It wasn’t just Dave though, it was also Terry Burton and Paul Wilkinson and with the staff he had, there was a real feel good factor. What was your best Cardiff goal and your favourite Cardiff goal? The most important goal for me was the winner against Swansea. I think we were 1-0 down and then I scored on the stroke of half time. To go in at the end winning the game 2-1 against your local rivals, who were challenging for a place in the play-offs as well, I think it knocked a lot of stuffing out of them because we deserved to win the game. One of my favourite goals was my third one against Leicester. Steve Thompson chased the keeper down and it came to me on the edge of the box. I shaped to shoot a couple of times then bent it in the top corner. That was my favourite goal at Ninian Park. There the ones that stick out in my mind, but I scored so many! Did you prefer Ninian Park or the Cardiff City Stadium? At Ninian Park, I remember we beat Wolves, who had just been relegated from the Premier League and the place was rocking, but when we beat Swansea at the Cardiff City Stadium the place was rocking again. They were both great stadiums. They had to move from Ninian Park to further the club, but I couldn’t say which was better because I have so many great memories at both of them. How did it feel returning to Cardiff for a second spell? Did you notice a difference in the club returning for the second time and did you have a favourite spell at the club? The club was definitely changing. The first time I went to Cardiff we didn’t have a training ground, we were eating in portacabins and we were doing weights in the car park. I remember coming back the second time and seeing what was happening at the Vale of Glamorgan. I spoke to Peter Ridsdale about it and he said what the club were doing was coming from the money they generated from selling me to Sunderland. That meant a lot because that helped them to progress and put them in a better position. Every year that I was there, things were changing. The training facilities now are second to none and that’s what a club like Cardiff City should have. Are you responsible for wrecking my hotel room in Portugal, during the pre-season before you left for Sunderland? It was brilliantly done; all the furniture was tipped upside down and not one bit of damage, apart from my toothpaste having it’s bristles cut off! Someone also wrote ‘Guess who?’ On the bathroom mirror in toothpaste. I was impressed rather than upset! Ha ha ha! It wasn’t just me! There was about five or six of us, but obviously I get the blame because I was leaving the club. We had great team spirit at the club, with Roger Johnson, Paul Parry, Whitts, Kev McNaughton and Macca, it was brilliant. You need that camaraderie, to be able to have a laugh and a joke. To be fair to Dave Jones, It worked fantastically. There was a time for a laugh and a joke, then there was a time to be serious. He knew how to get the best out of players. People say I was one of his favourites, but there were times when I was in his office and he would come down on me like a tonne of bricks. He would if you fell short of what he wanted you to do, but he would let you do what you wanted to do if you were performing. We haven’t had a real finisher since you left. If you were in charge, who would he bring in in January to play that role and finish those chances off? The prices of players now are ridiculous. Chris Wood went to Burnley from the Championship for about £15m and that’s a lot of money. Cardiff have done well to get back in the Premier League, but if they break the bank trying to get a player that will score them 20 goals, he still might not keep them up. You’ve got to be realistic. In the last few years, what Cardiff has done has been fantastic because they may have got relegated from the Premier League, but they’re not fighting relegation in the Championship, they’ve been fighting to get promoted again. They’re in a much better position financially than they probably ever have been. There are not that many out-and-out goal scorers around and if there is, they cost a lot of money. Look at Jermaine Defoe for example, he’s not playing at Bournemouth but realistically, would he go to Cardiff? I wouldn’t have thought so. Then you’re looking at players who would want to play in the Premier League from the Championship and they would be asking for ridiculous money for them. Cardiff have done well this season, they’ve got players there that can score goals. They might survive without spending big money on a striker. Bobby Reid was brilliant for Bristol City, is he good enough for the Premier League? Only time will tell, but he’s already proven that he’s good enough for the Championship if they get relegated. Who is the best player you played with at Cardiff and why? I would have to say Steve McPhail. I just think what he brought to my game was a lot more than people thought. I was at Barnsley with him and we were able to continue the relationship we had on the pitch. We also bought houses next door to each other and it was brilliant. He was the best because you look at the goals I was scoring and a lot of them came from him. The player I became, he made me that player. If he didn’t produce those chances for me and I didn’t stick them away then I wouldn’t have got the move to Sunderland. If you had to pick a five-a-side team with former team-mates, who would you have in? David Marshall, Kev McNaughton was a great player. He was very versatile and he reminded me a bit of Gary Speed in that he was one of the fittest players I ever played with. Kev could drink, turn up for training pissed and win a marathon! It was crazy. Mark Hudson would be in my five-a-side team. A leader on and off the pitch and a great lad. I can’t leave out Steve McPhail and Peter Whittingham… who do I leave out though?! Do I put Jay up front instead of me? I’ll leave Whitts out, I’ve said enough about Macca, and if I wasn’t picking myself, I would go with Jay. VFTN – Speaking of which, how would you describe your relationship with Jay Bothroyd? People have heard stories about me and Jay, how much leeway we got, but every Saturday we were producing. I’ve read things from Jon Parkin and Gavin Rae saying that it wasn’t fair, but if I’m scoring goals every week, I’m not going to change my routine in the week. So if I was going to Newcastle on a Tuesday straight from training and driving back on a Friday morning, I’ll continue to do that as long as I’m scoring goals. Dave Jones said to us both, keep doing what you’re doing because you’re scoring goals and that’s what I need in my team. Other players probably didn’t like it, but like I said before, I got hammered if I didn’t produce and rightly so. A huge thank you to Michael Chopra for sitting down with us for a two part Q&A series. Part two is coming later this week. We want to hear your favourite Michael Chopra moments, tweet us at @VFTNinian using #ChopraWeek.